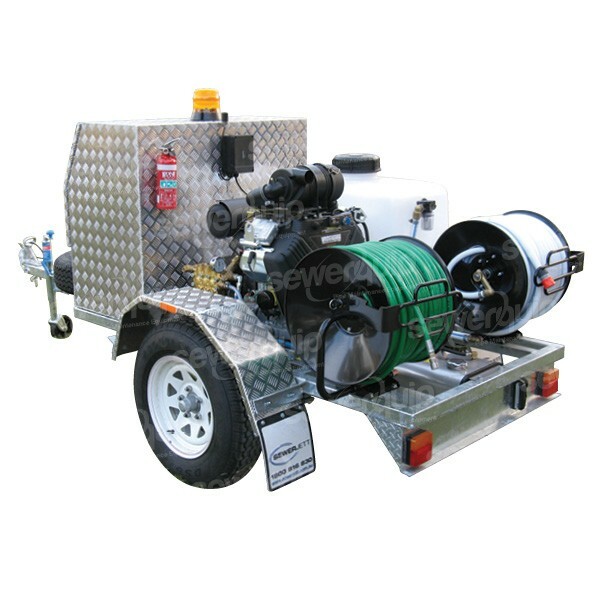 The SEWERJETT MAKO M2V150TB trailer mounted water jetter is designed to be easy to tow and handle and is perfect for plumbers with multiple vehicles or if you simply do not have enough room on your vehicle for a water jetter. 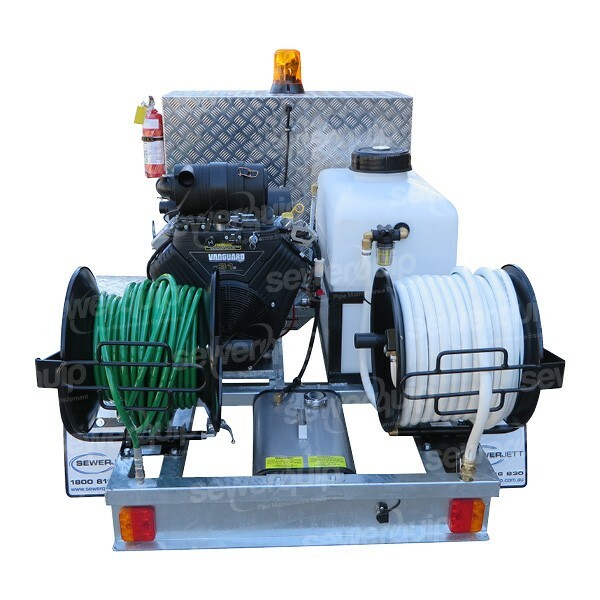 This system has a custom designed chassis with a lockable toolbox to store your water jetting accessories and cctv inspection equipment. 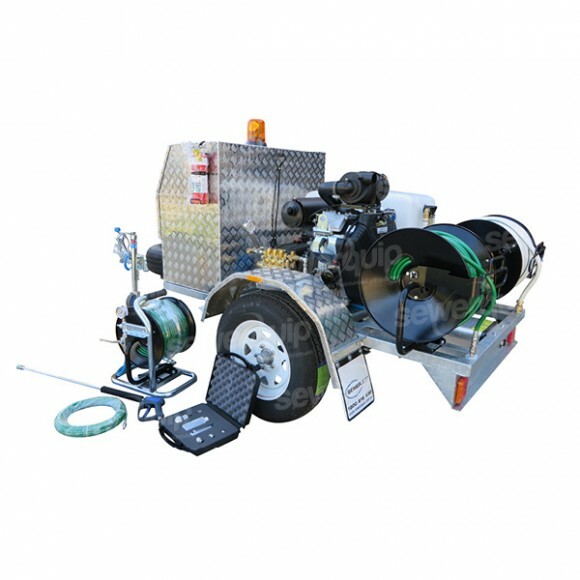 The MAKO M2V150TB water jetters are manufactured in our Sydney warehouse and we ship Australia wide with overnight delivery to most major cities on the east coast like Sydney, Melbourne, Brisbane and the Gold Coast. Reliable Honda or Vanguard motors. Optional Kubota diesel. Genuine Bertolini Triplex pump and Gearbox with 3 year warranty! 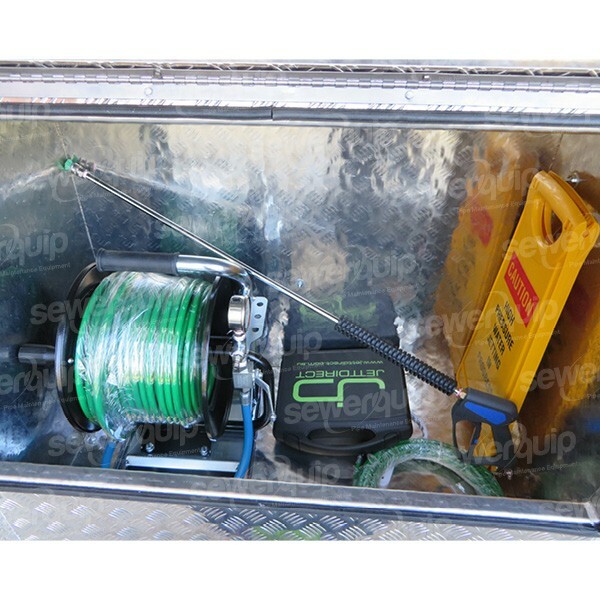 Fitted with large lockable, aluminium TIG welded tool box. 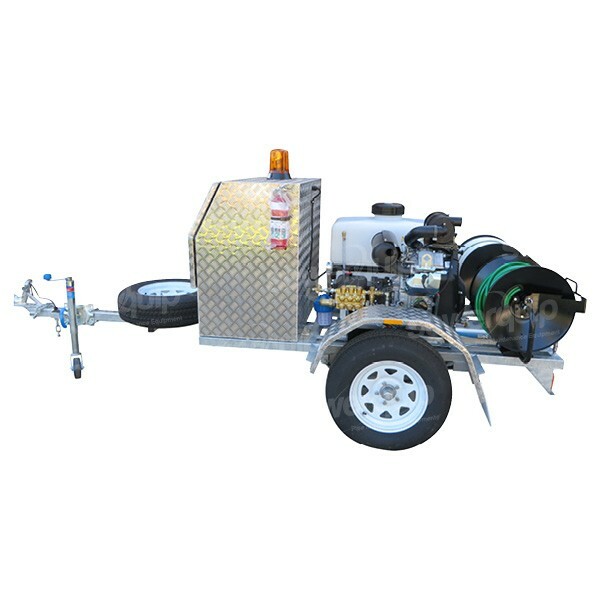 Prefect for storing Jetting accessories, CCTV camera and location equipment. 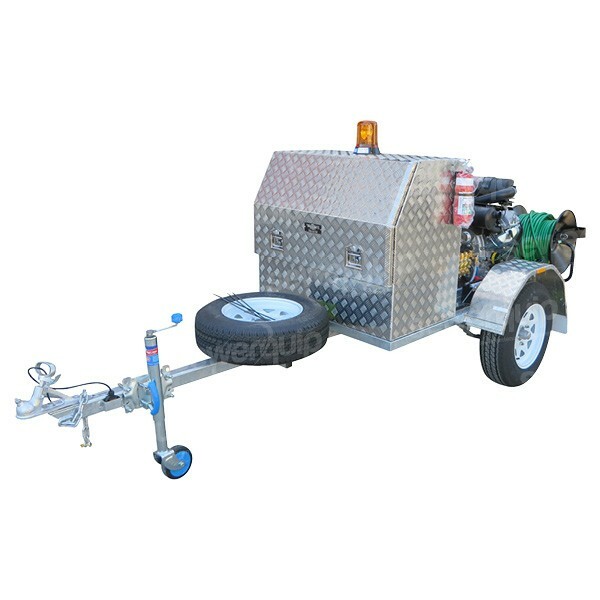 Trailer supplied with LED lights, Jockey wheel and 3 x new wheels & tyres. Remote Control with auto choke.